We organized a workshop Talking colors: Advanced Microscopy. 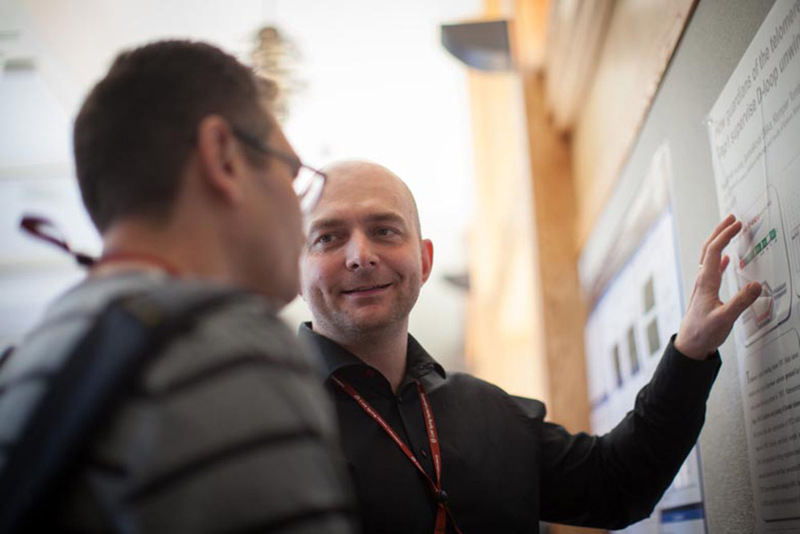 The most sophisticated microscopy methods of biomolecular interaction and structure analyses were introduced to young researchers. Michael Stone from the University of California Santa Cruz presented basics and applications of single molecule FRET microscopy. Mark Hink from the University of Amsterdam taught us how to perform fluorescence cross-correlation spectroscopy. 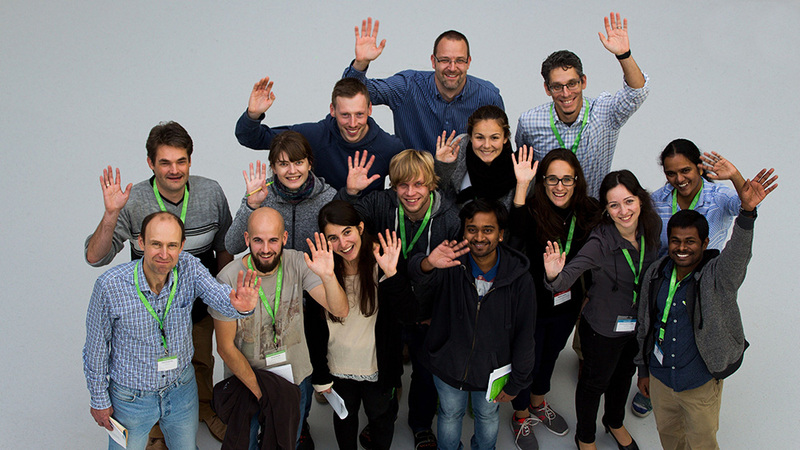 Fifteen PhD students from CEITEC learned advanced methods of microscopy. The workshop was among main news from CEITEC in October 2017. 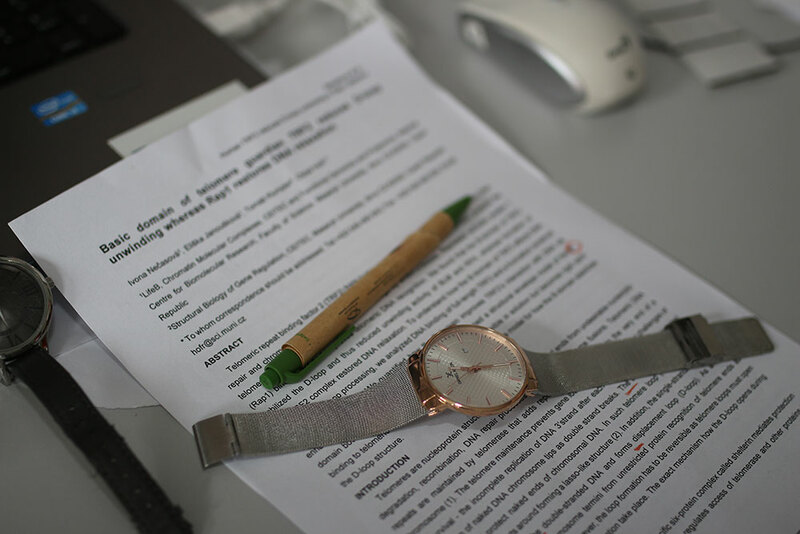 Ivona sent out her manuscript and managed to have it accepted in the last month of her pregnancy. Right after our publication about TRF2 effects on helicase activity was online, Ivona gave a birth to a great child. It is a boy, Mateo! Ctirad attended the Cold Spring Harbor Laboratory meeting Telomeres & Telomerase in Spring 2017. We discussed our achievements in a kind and supportive atmosphere. Our friendly conference discussions contributed to improvement of our publication about effecst of the basic domain of TRF2 on D-loop processing and a publications from the collaborating laboratories - the publication of the de Lange laboratory focused on the role of TRF2 in telomere integrity and the publication by the Cech laboratory describing human core shelterin assembly.